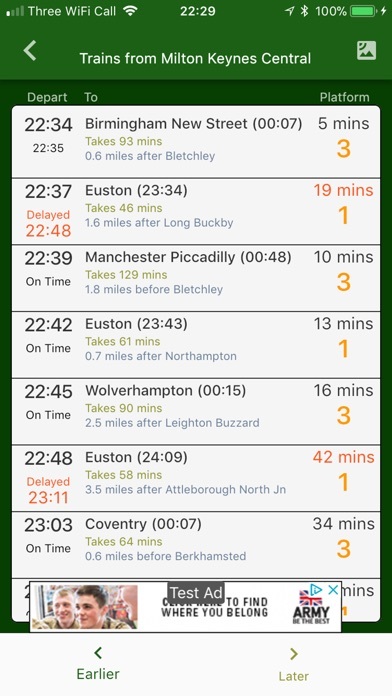 Accurately plots the location of all trains on the UK rail network. 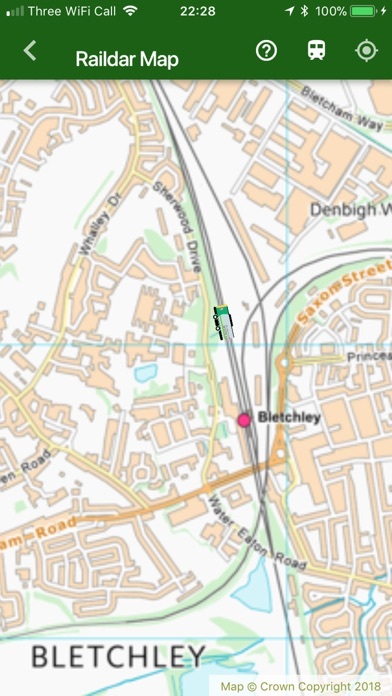 Search for times of trains and then see where the train is now. 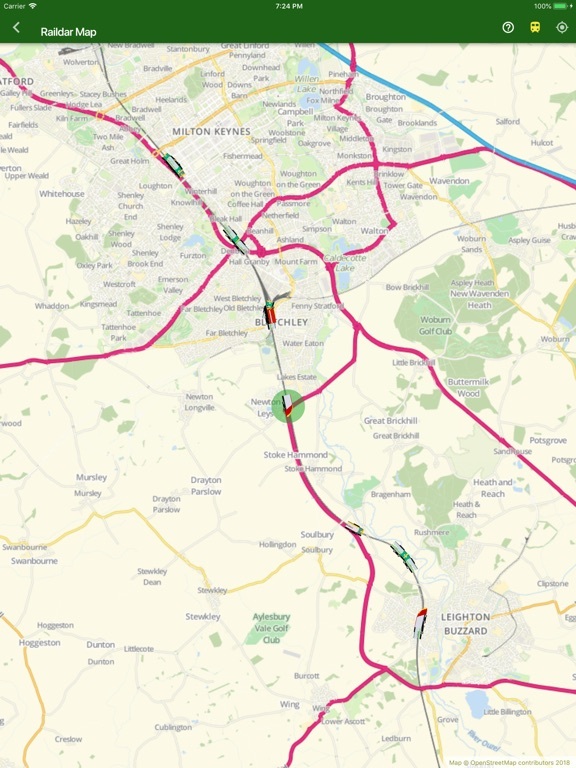 Automatically logs your journeys by detecting when you are travelling on a train. 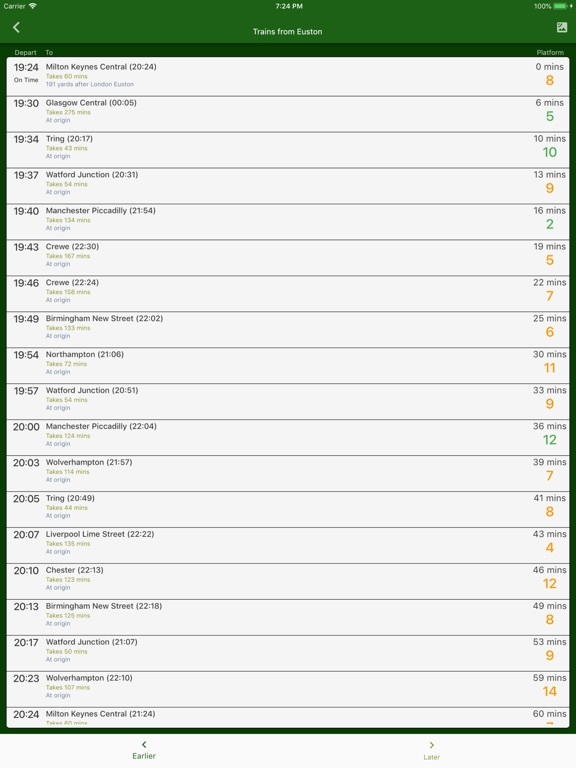 The tracking of trains across the whole of the UK network and updating everyone's app with up to date locations keeps our servers very busy. For this reason, the app contains a timeout after which the updates will stop and you will need to press a button to start them again. To increase this timeout and turn on always on screen you need to buy our subscription service. The Raildar subscription service comes with other features such as displaying the "headcode" of trains. The subscription upgrades your service for a month, or you can pay for 6 months at a cheaper monthly rate. You can try the subscription service for 7 days before you buy, but you must cancel at least 24 hours before the end of the trial to not be charged. • Payment will be charged to iTunes Account at the end of the free trial. • Subscriptions may be managed by the user and auto-renewal may be turned off by going to the user's Account Settings after purchase, accessed via the "Manage" button on the Upgrade page. • Any unused portion of a free trial period, will be forfeited when the user purchases a subscription to that publication, where applicable. • Subscription fee is non refundable. If the user cancels or stops using the app no refund will be made for unused subscription period.